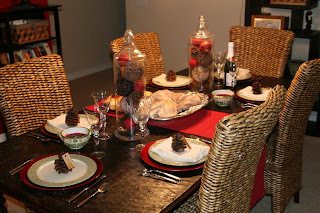 I hope everybody had a great Thanksgiving Holiday! We all have very much to be thankful for! Devin had a great morning of football. We had a great dinner with our friends James and Andrea. Look at that pie! 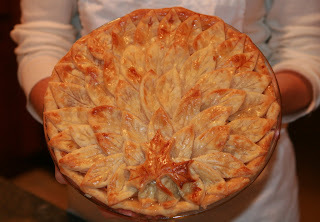 You'd think Martha Stewart came to our dinner, but it was our friend James yes, James who made that beautiful pie! We had three thanksgiving dinners this year 1st with James and Andrea then we had our own turkey as well and then we had thanksgiving with Mike and Kara and their family as they like the rest of us had too much food for just themselves. It was a great holiday in which we are grateful for all of our blessings.